For most travelers, Cebu is known for its pristine beaches, jaw-dropping waterfalls and super-friendly people. 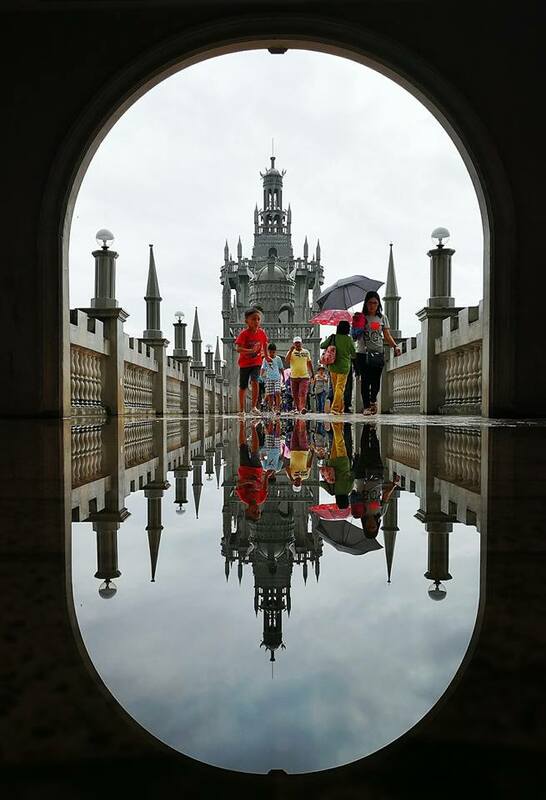 But little do we know, the island also hosts heritage sites and relics, from century-old churches and old fortresses to colonial houses and museums. Despite the increasing sophistication of Cebu, it has managed to keep its rich cultural past. Cebu’s southern heritage trail is considered as one of the best trails to follow if you want to travel back in time. Yes, you heard that right. 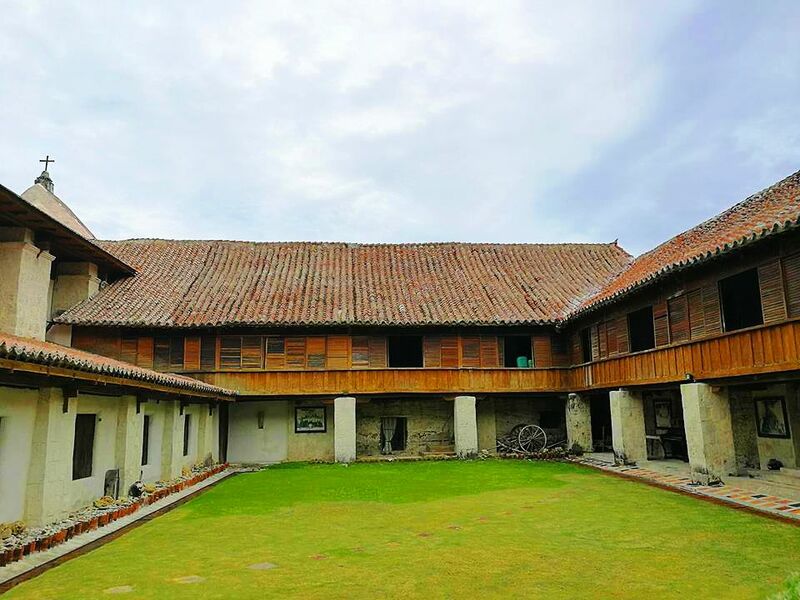 For a history buff and a photography enthusiast like me, visiting these heritage sites is a golden opportunity to bask in the rich history of these places and relive vibrant stories of their past. A couple of weeks ago, we commenced the 4th year of SouthWalk, a road trip, history, and photography event. We often call this activity “An Date with Time” because you will literally be experiencing the heritage sites of the southern part of Cebu. The activity is set to start in the city of Carcar but just to make the day more exciting, we always do a sunrise session at the industrial town of Naga. 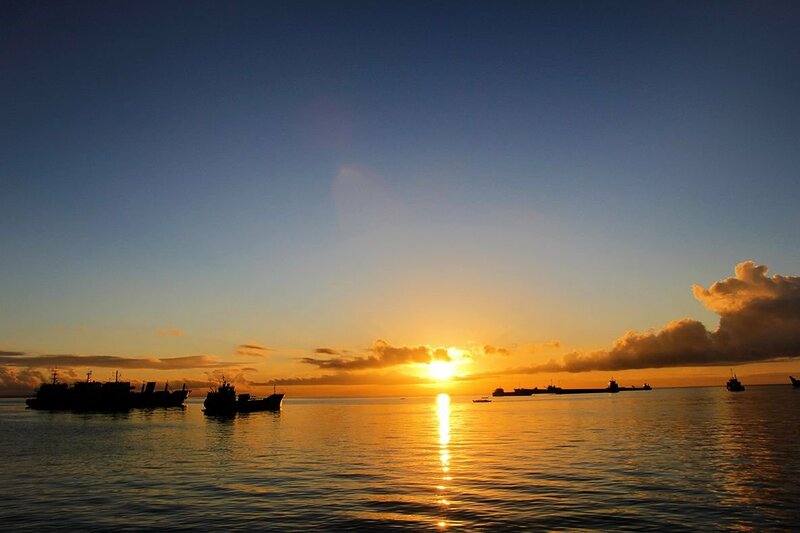 If you want to get a glimpse of the rising sun, the town of Naga is among the best places in Cebu to enjoy the sunrise. After the sun rises, we then prepped up to our next destination which is the city of Carcar. 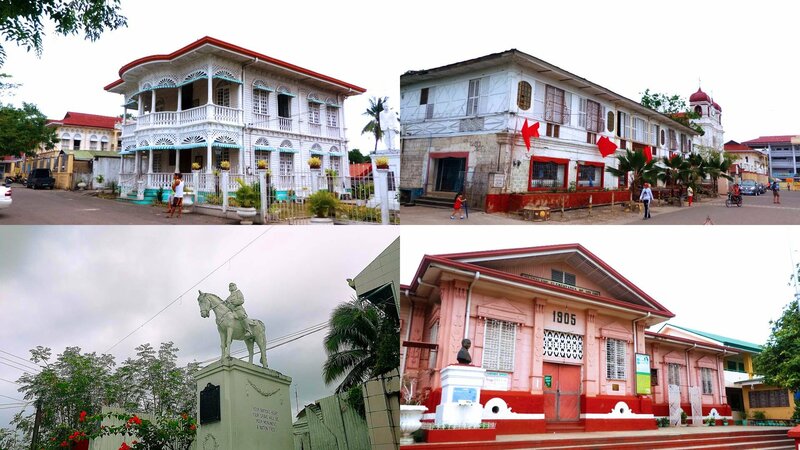 Aside from being Cebu’s shoe capital, the city of Carcar is dubbed as the Heritage City of Cebu. 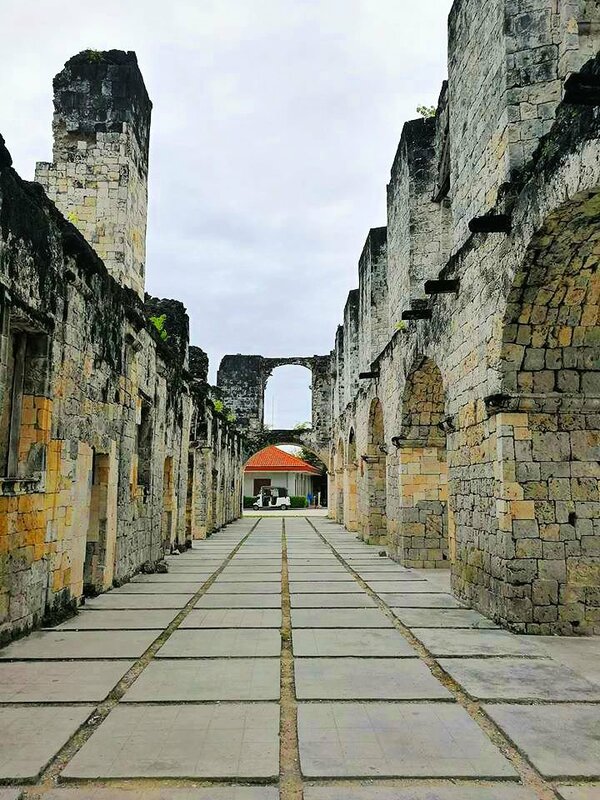 The city of Carcar, being the first stop of our heritage trail allows us to have a grasp of how rich and vibrant Cebu was during the colonial era. 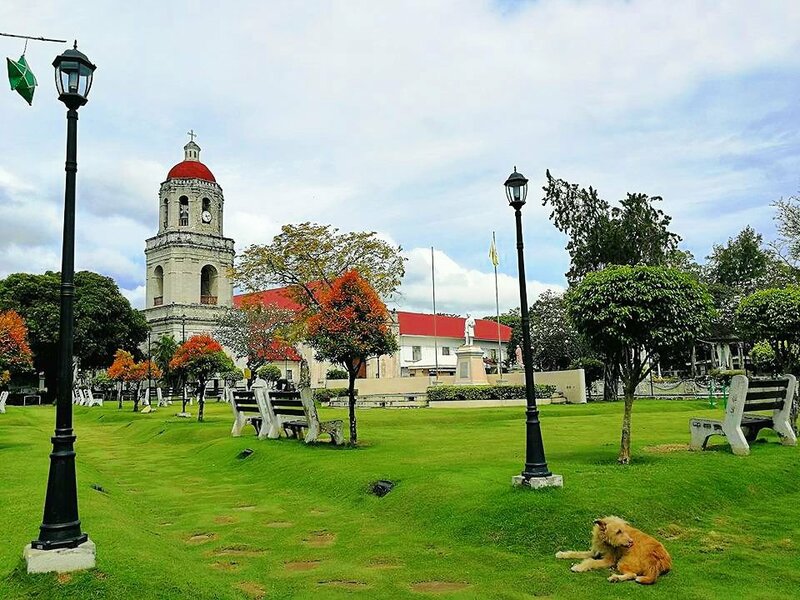 There is no other place in the entire province of Cebu that holds numerous heritage sites from colonial houses to century-old architectures other than Carcar City. Our first stop was the Santa Catalina de Alejandria Parish Church. The St. Catherine of Alexandria Church is the second oldest church in Cebu. One of the interesting and notable features of the church are the 11 statues of the apostles at the main entrance. Also, according to historians, the mosque-like architecture of the church was done in purpose to fool the Moro invaders. Aside from the St. Catherine Church, there are other notable structures can be found within the city complex. The most noticeable one is the Carcar Museum. It’s used to be a dispensary in early 20th century but then it was converted to a museum where it houses historical objects related to the history of the city. The convent beside the church is another historical site worth noting. The convent houses the oldest clergy house in Cebu, the structure also boasts intricate Spanish architecture. When you explore further in the city complex, you will also see a pinkish color building, it’s the Upland Elementary School. Considered to be the oldest public school in Cebu, the Upland Elementary served as a prison during the World War 2. Just several steps from Upland is the statue of the great Leon Kilat. Leon Kilat led the 1898 uprising in Cebu which led to the Tres de Abril read further revolution. A revolution that is of significant remark in Cebu’s history. After roaming around, we then head to the other side of the city complex which is the Santa Catalina street. This calm and restful street is another gem. Majority of the structures on this stretch are well-preserved colonial houses. Most of the houses you can find here are own by prominent family and early settlers of the town. The most notable house in this street is the Balay na Tisa. Originally known as the Roman Sarmiento-Ana Canarias Ancestral House which was built in 1859, the Balay na Tisa is deemed to be the oldest and well-preserved colonial structure in the city of Carcar. 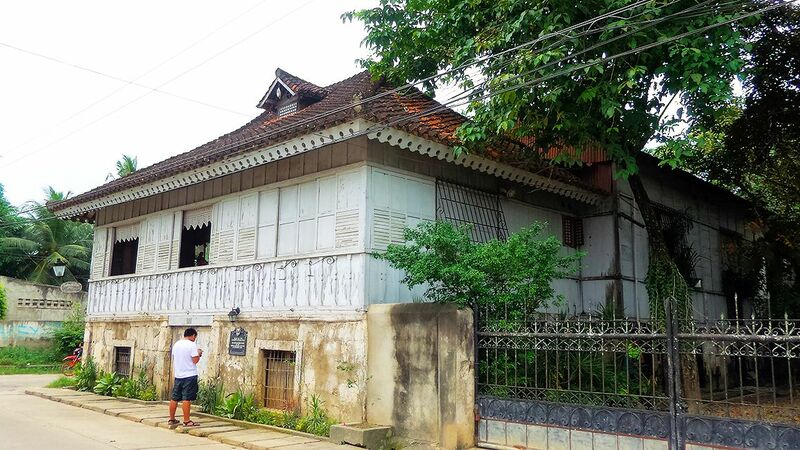 It was declared as a heritage house declaration in 2007 by the NHCP or the National Historical Commission of the Philippines along with the Silva House, Mercado Mansion and the Dakong Balay. 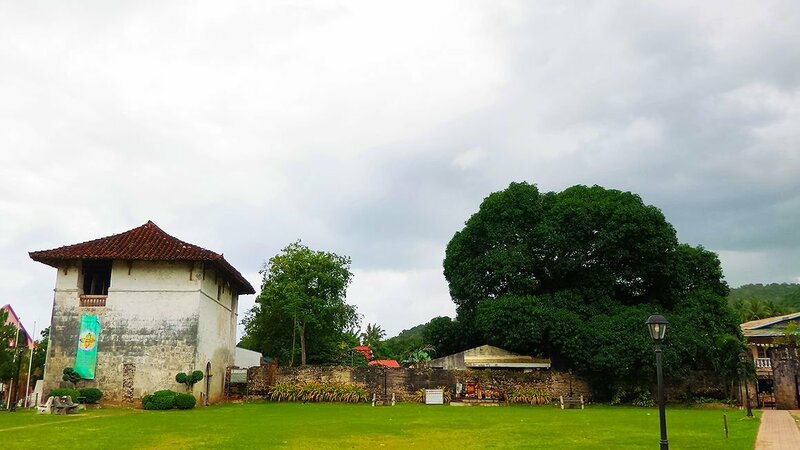 Tips for travelers: To fully maximize your visit in Carcar, don’t go there on weekends because the Balay na Tisa is open to the public during Tuesdays. 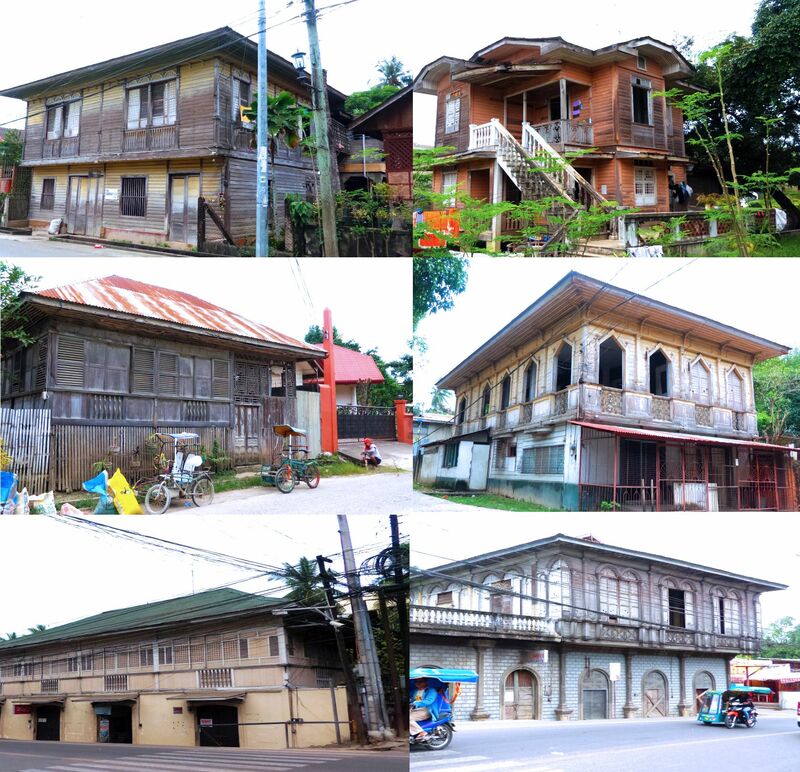 Other colonial houses like the Sato House, Marfori-Cui House, Juario-Villarosa House, Mateo Noel House, Aleonar House, Barcelo House, Barcenilla House and Yap-Rodriguez are still present and standing the test of time. Our first stop in the city of Carcar was really worth the sweat. To be honest, I was again, mind-blown of how vibrant the lives of the people of Carcar in early times. I would like to extend my appreciation to the Carcar information center for providing us more interesting information. After our quick time travel in Carcar, our group then head to the next town of Sibonga. Compared to Carcar City, the town of Sibonga is not as vibrant as Carcar but it has its unique beauty. 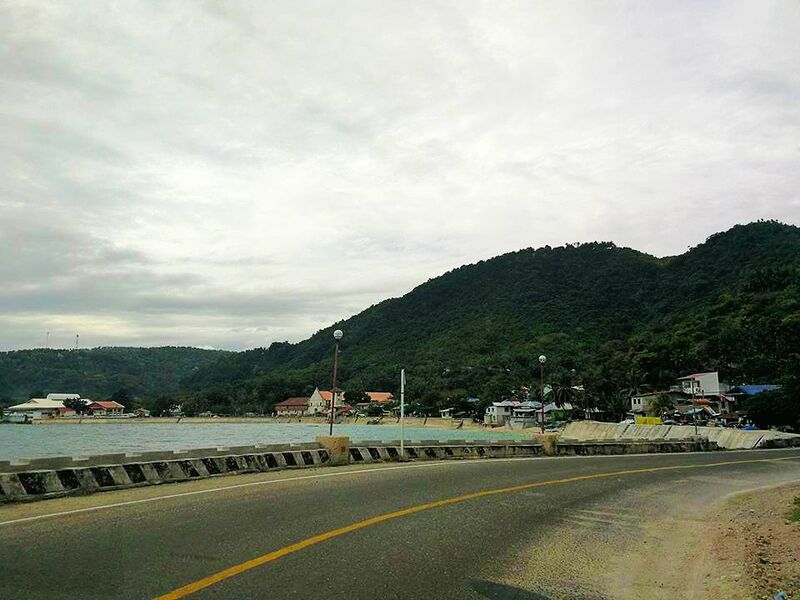 Just a bit of history, the town got its name from a betel nut that is abundant in the area. The locals call it biunga or fruit thus Sibonga is what it is now. The Nuestra Senora del Pilar de Zaragoza is the notable structure in the town and is among the heritage churches in the trail. 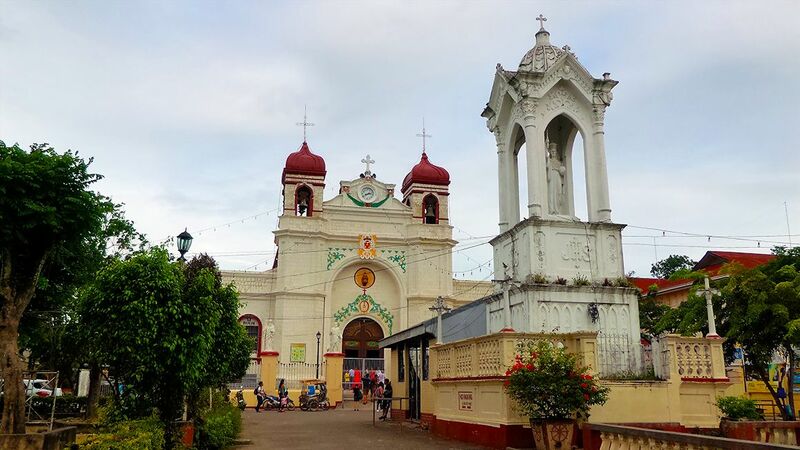 The church was created as part of the visita iglesia for Carcar and it was under the jurisdiction of the Argao parish. In 1830, the church became an independent parish under an Augustinian friar Mariano de la Ascension. The church was completed in 1881. The most significant feature of the Nuestra Senora del Pilar de Zaragoza are the paintings of the 7 Sacraments as well as the 7 Days Creation of the World. Tips for Travelers: The town’s information officer told that there are cherry blossoms in the town plaza. If you want a dose of Japanese experience in Sibonga, visit the town around April-May where the tress is in its full bloom. 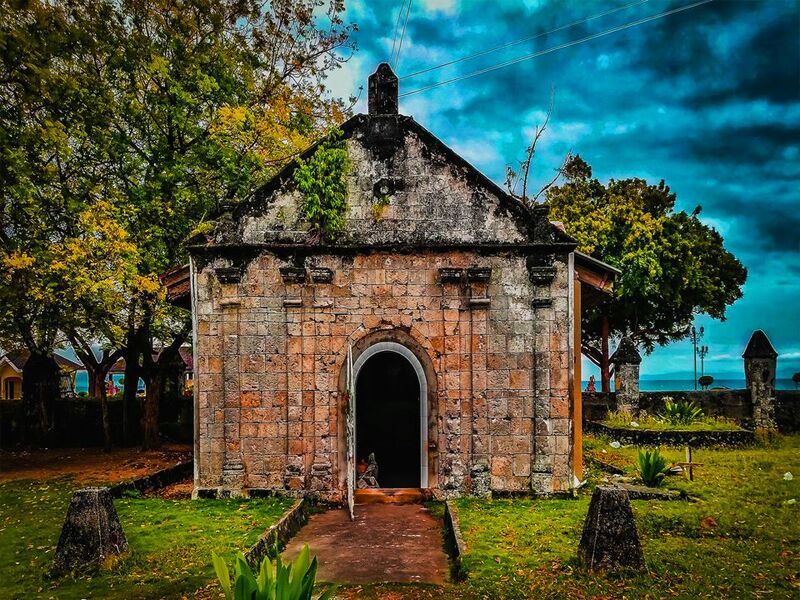 Another interesting site in Sibonga is the Simala-Lindogon Church. It houses the monastery of Marian monks, Monastery of the Holy Eucharists. According to locals, long before the construction of the monastery, the place was barren and no plants ever survived the terrain. But when the Marian monks came to the place to put up their monastery, the place began to get fertile and varieties of planted plants began to flourish. 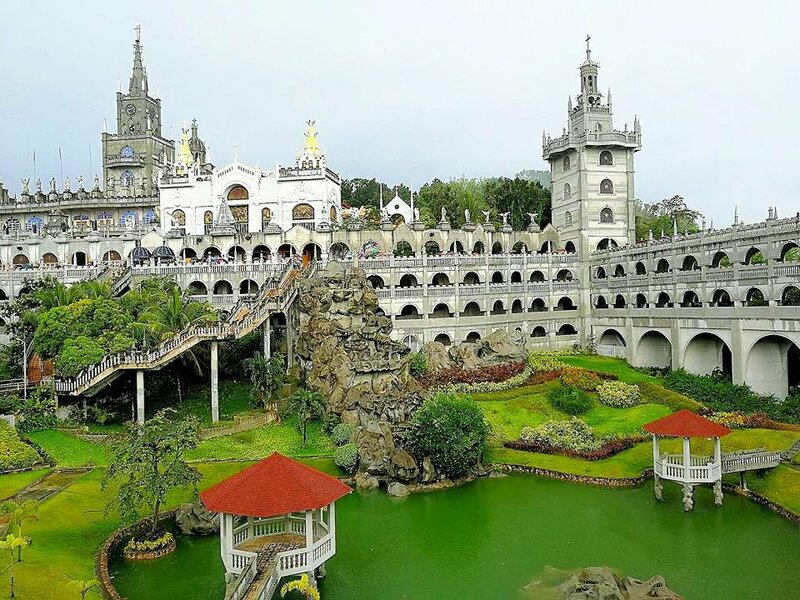 Up until this day, the whole complex of the Simala-Lindogon church continues to expand and according to devotees, it becomes more miraculous. The whole system of the Simala-Lindogon church is so huge that it would take you almost a day to document everything. Since we just made a quick stop in the monastery, we only managed to get a handful of good photos. Tips for Visitors: The monastery is very strict when outfits and garments, no sleeveless for men and for women short skits and sleeveless are prohibited. The complex is elevated, you won’t find any shade other than the church itself, make sure to bring hats or anything that can provide you shade. After regrouping, the group then head to the next town, Argao. This is the 3rd site of our heritage trail. Argao, like any other southern towns, also has its unique and distinct features. When you speak of native sponge or chocolate, the very first thing that will pop on every Cebuanos mind is the of Argao. 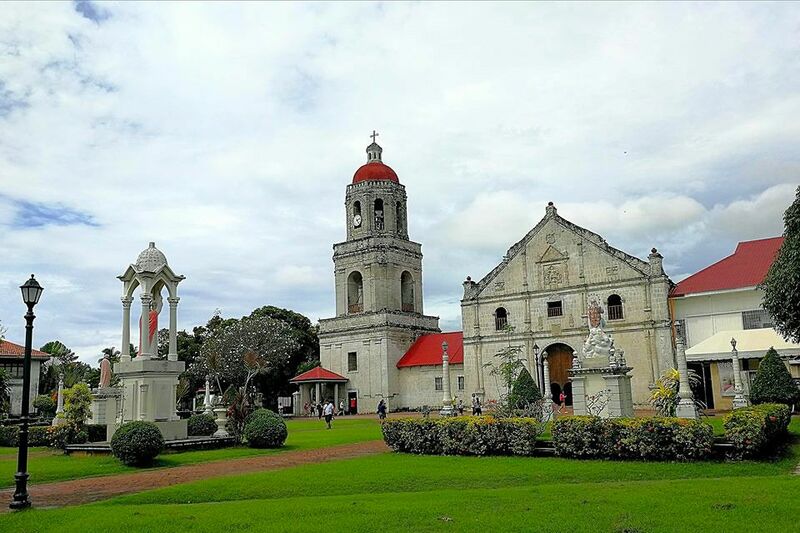 But what really stands out in Argao is its historical structures and the prominent one is the stunning Baroque-Rococo info St. Michael the Archangel Church. The St. Michael the Archangel Church has a unique feature compared to other churches on the south side. 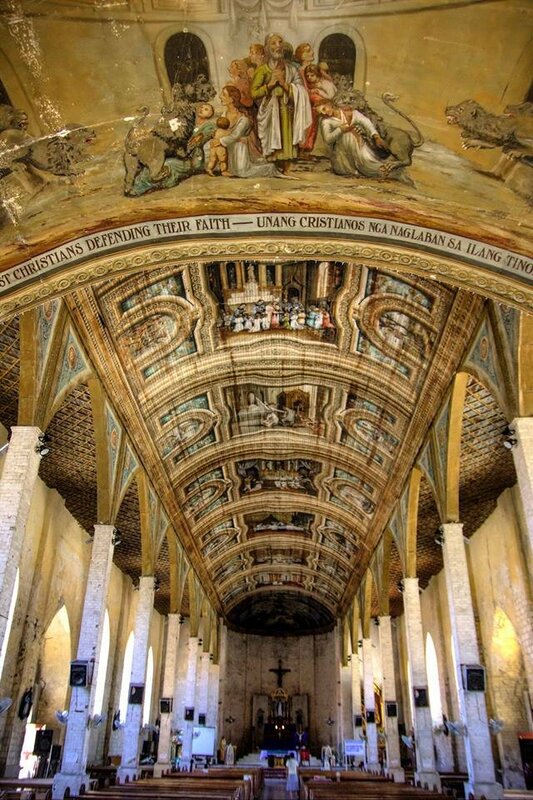 The 72m long, 16m wide, and 10m high church feature Corinthian masonry which gives it a very sophisticated beauty. The church was founded in 1733 and took Fr. Mateo Perez 33 years (1803-1836) to finish the construction. Across the church is the town plaza which is the most visited in town. People usually gathered around to enjoy the tranquil environment. A few years back, the plaza has the government decided to install WiFi in the area but it has done no good so they decided to remove the feature. Another structure of historical significance near the church is the Capilla Mortuario. This mortuary serves as the hospital and autopsy area during the Spanish era. Another structure in the Palacio. This is used as the accommodation for Spanish dignitaries during Spanish times and school during the American invasion. Today, the structure is currently used as Argao’s Hall of Justice. Spending an hour or two quite enough if you want to know more about Argao. But if you really want to dig down with its history, I guess it would take you days. 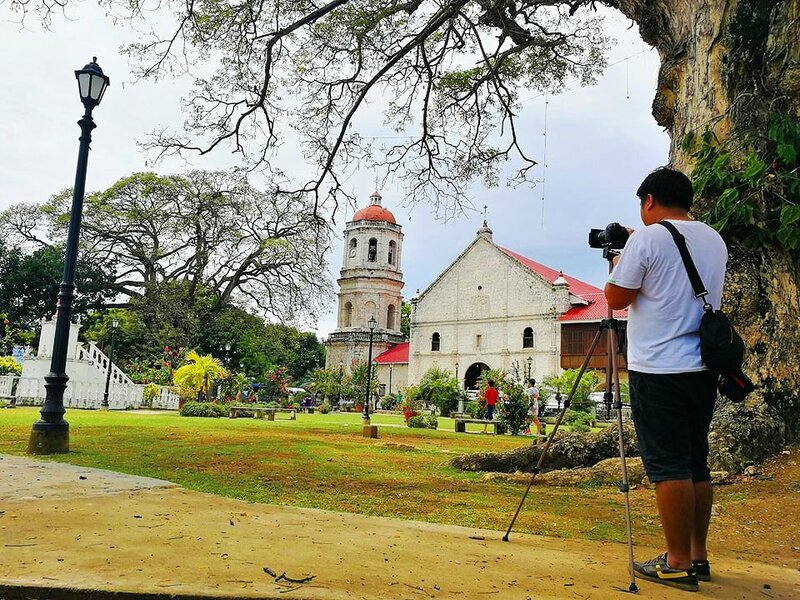 Tips for Photographers: The church complex of Argao is very beautiful. Any spot is a good spot but if you want to maximize your photographs, take the vantage point near the Town Hall, it will give you a different perspective of the church. After Argao, our next stop was in the town of Dalaguete. 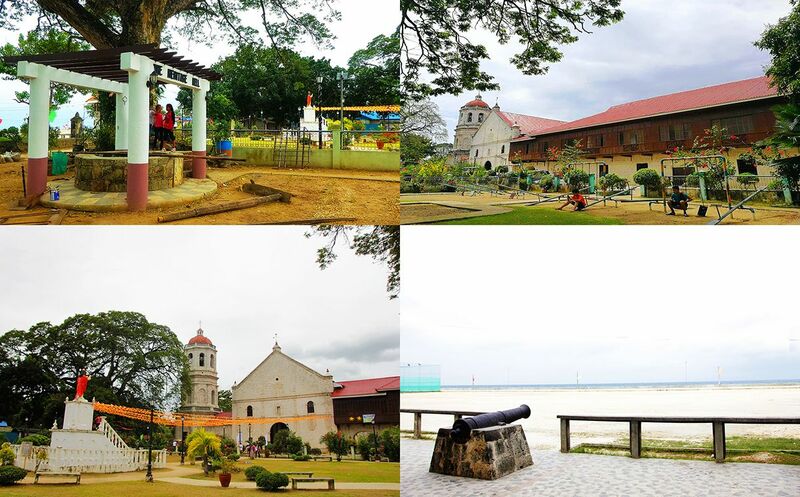 Dalaguete is also a town of rich history. 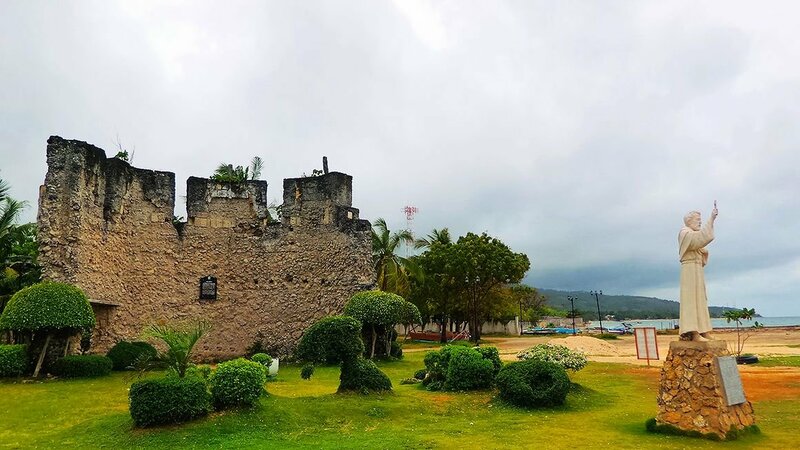 According to historians, the earliest evidence of human settlements in Dalaguete has dated 500 AD but it was only in 1711 that it was established as a town. 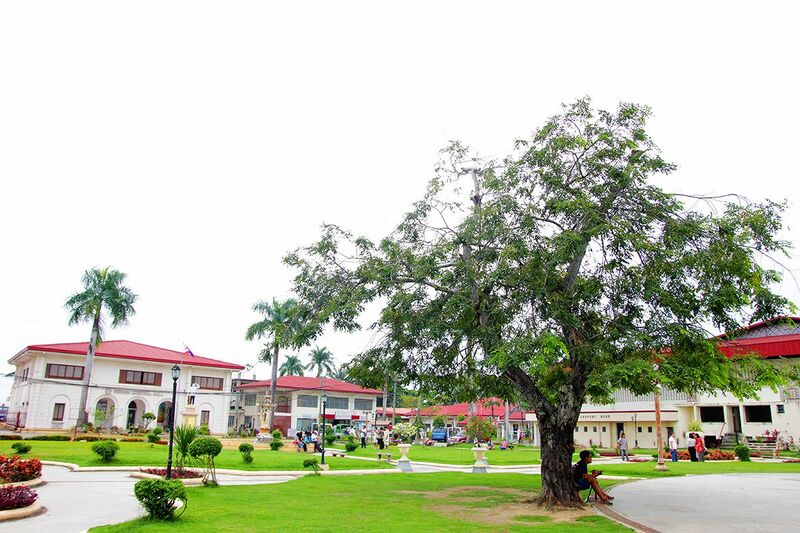 The town’s name originated from the Dalakit Tree (commonly called as Balete) which was used by early settlers as landmarks and commerce. 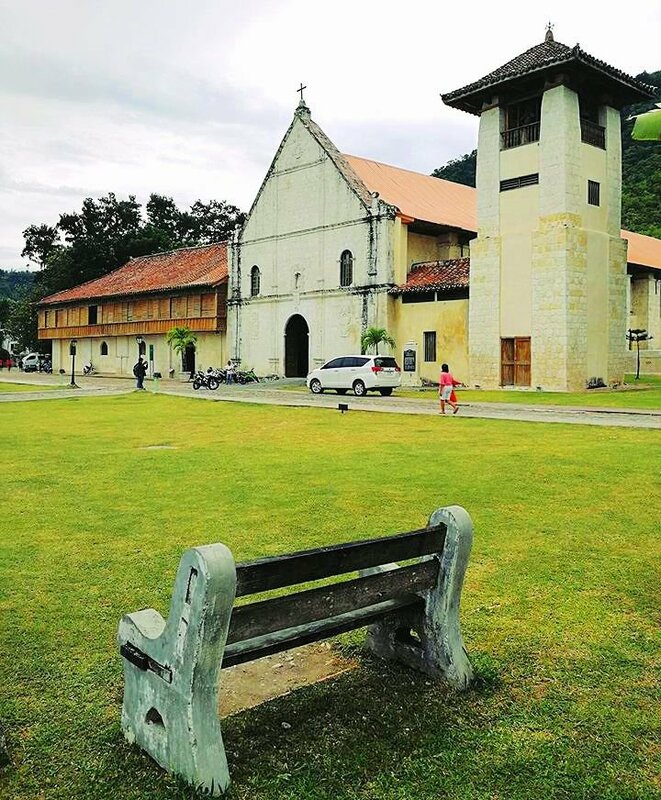 Being dubbed as the Summer Capital and Vegetable Basket of Cebu, the most significant historical structure in the town of Dalaguete is the San Guillermo de Aquitania Church. The church was used as a refuge of early settlers from invading Moros and is among the few remaining church-fortress in the Philippines. Just like the church in Argao, the San Guillermo de Aquitania Church is another type of Baroque-Rococo structure. Other notable structures more info in the town and just within the church complex are Cristo Rey Monument, Heritage Well, Poblacion Watchtower, Fr. Ruperto Sarmiento Monument and the Canon facing the sea. According to the town’s information officer, there are heritage houses on the other side of town but we were not able to visit them due to time constraints. Tips for Photographers: To get a good perspective of the church, the best spot to set up your tripods is near the big Acacia tree just beside the Heritage Well. Tips for the hungry: Eateries and restaurants are just outside the church complex. If you need to fill those aching tummies and quench your thirst, the town is a good place to eat. There is a good Halo Halo stall too. Try it for yourself. After a sumptuous meal, our group then head to the town of Boljoon. 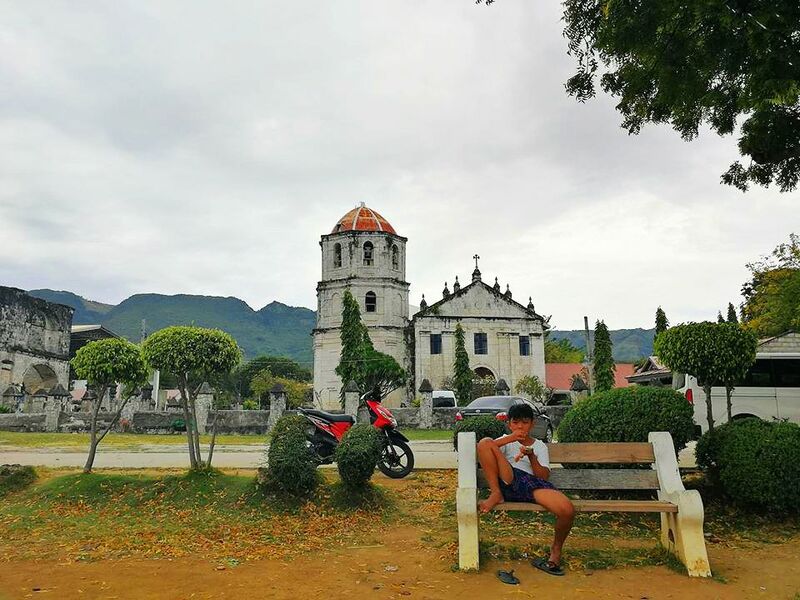 Dubbed as the Heritage Frontier of Cebu, Boljoon, being among the oldest towns in Cebu has the most picturesque landscape in all of the southern towns. 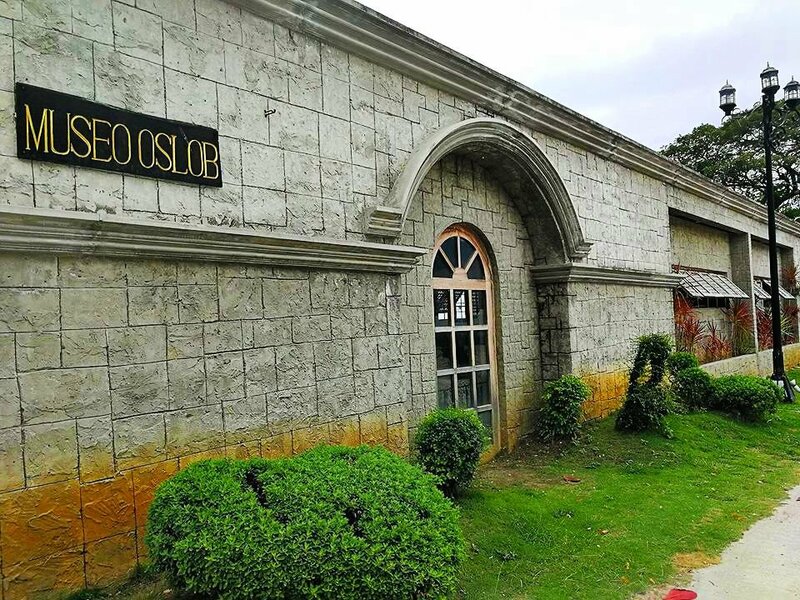 Boljoon is Cebu’s heritage frontier because of their strong notion to preserve most of the town’s structures and landmarks that have significant historical value. 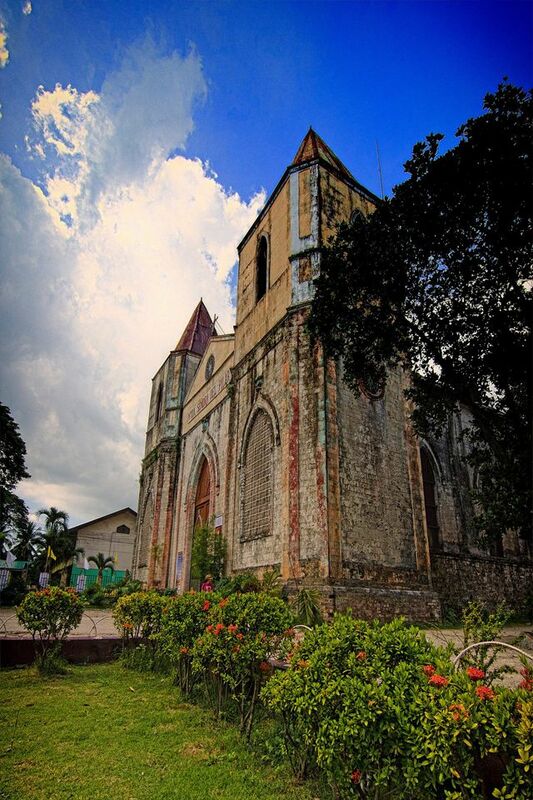 The most prominent historical structure in the town is the Nuestra Señora del Patrocinio de Maria Parish Church. 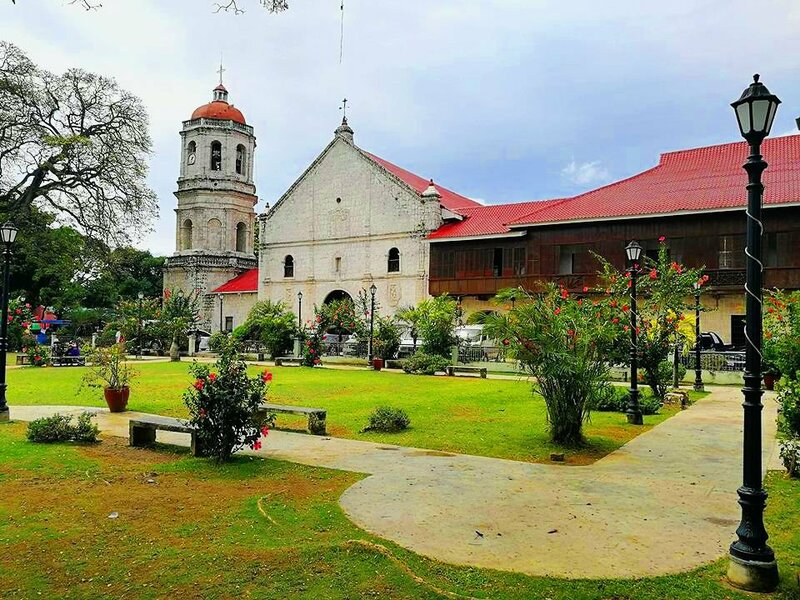 Considered to be among the Baroque churches in the Philippines, this church is also declared as a national treasure and soon, a UNESCO World Heritage site. 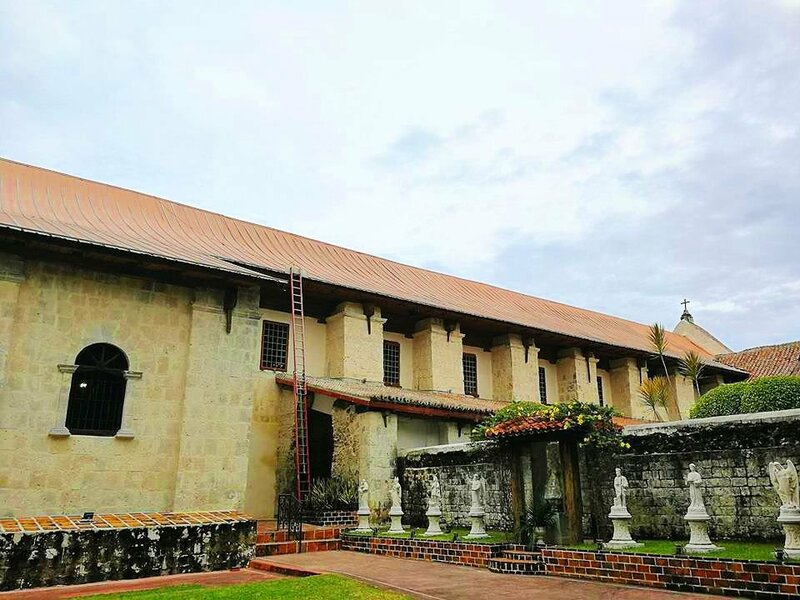 The Nuestra Señora del Patrocinio de Maria Parish Church is among the living proof of the town’s strong commitment to preserving their culture and heritage. Considered as the biggest watchtower built in Cebu. Just like other coastal town, Boljoon is also invaded by Moros, the watchtower serves as a fortress that protected the town from invasion. 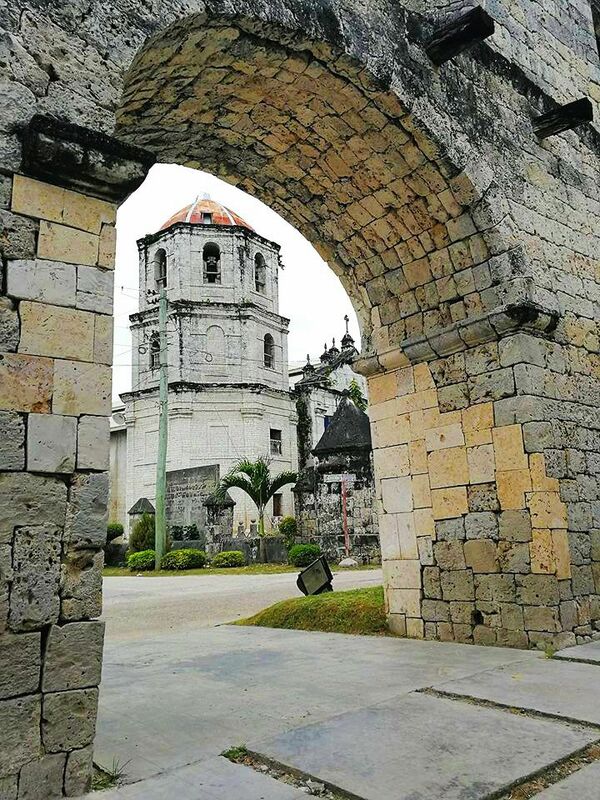 Today, this defensive structure now serves as the belfry of the Nuestra Señora del Patrocinio de Maria Church. Built in 1940, the building serves as a dormitory for children taking their Holy Communion. Escuela Catolica was also used as a primary school and a religious school. Today the building serves as a meeting place for church officials. Tips for Travelers and Photographers: The best vantage points for the church is at the corners of the front churchyard. Best if you have an Ultra-wide angle lens. As of my last visit, the areas at the back of the church is accessible to everyone. What you will capture there will be a good addition to your album. The stories of how the town got its name have many versions but the most talked about is the story from the story of the 2 native couples eating bananas. 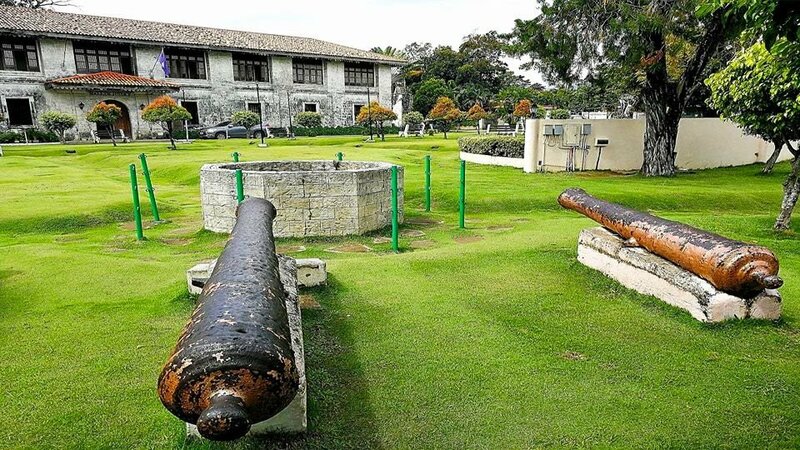 Aside from having one of the most beautiful shorelines in the southern part of Cebu, the town also boasts with structures that have significant importance in Cebu’s history. Though it is a given that the town has pristine beaches, the only reason I know worth noting is the heritage sites of the town of Oslob. Beaches will be beaches but these historical figures will not always be the same as time passes by. The Our Lady of the Immaculate Conception is one testament of the town’s rich and colorful past. The design of the church was made by Bishop Santos Gomez Marañon, the same person who constructed the legendary kiosk of the Magellan’s Cross in Cebu City. Aside from the Our Lady of the Immaculate Conception church, walls and fortress are also evident. 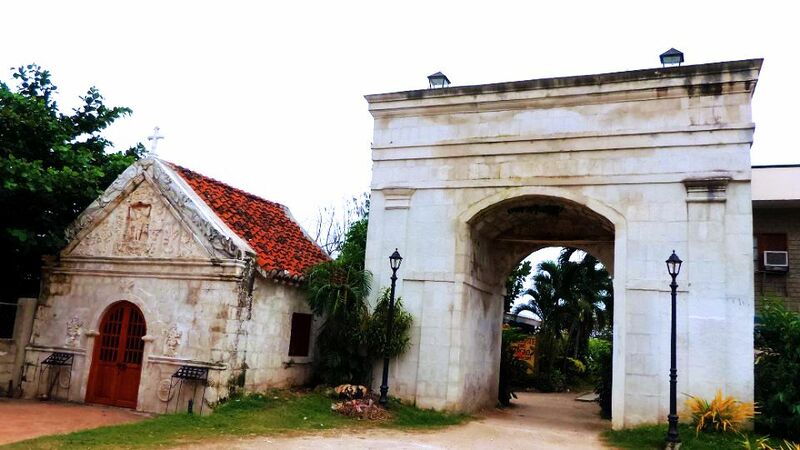 The famous fortress that is standing up to this day is the Oslob Cuartel. This structured was intentionally built to house Spanish soldiers but it was never finished. 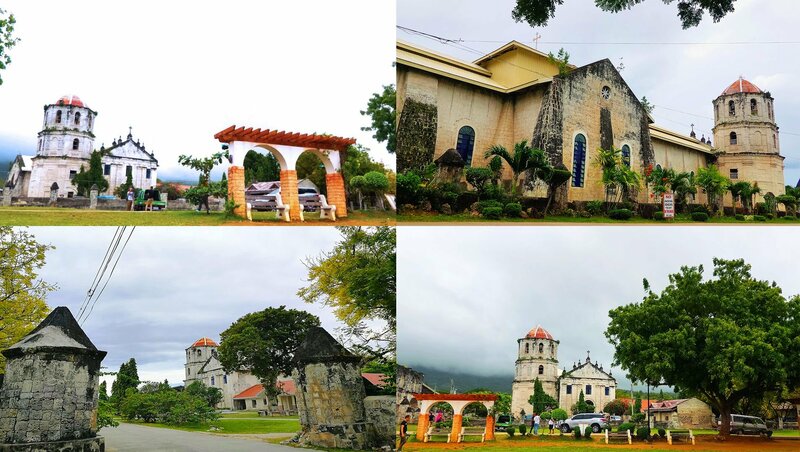 Another interesting structure you can in the area is the Oslob Museum, Baluarte Ruins, Oslob Chapel Mortuary and the Shrine of Fray Julian Bermejo. 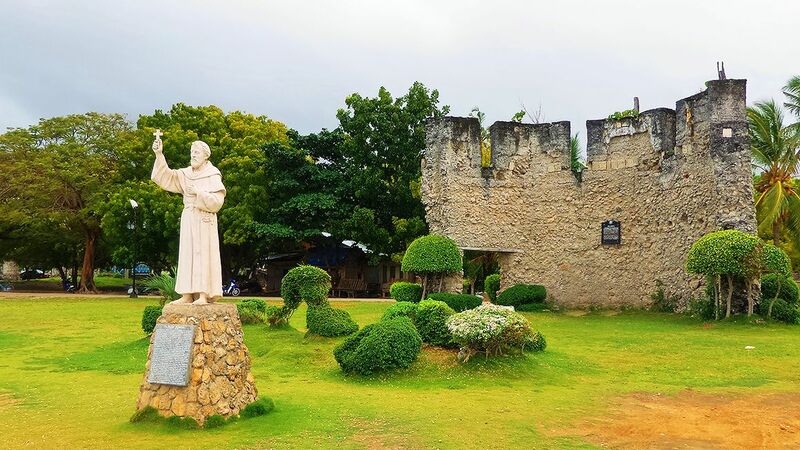 Father Julian Bermejo or better known as El Padre Capital is the Augustinian friar who led the Cebuanos in creating a chaing of defensive structures against the invading Moros. The chain of this walls and fortresses stretches from Carcar all the way to Santander town. The Old Mortuary Chapel is used to be a mortuary. As of today, the place is used as a prayer room for church parishioners. 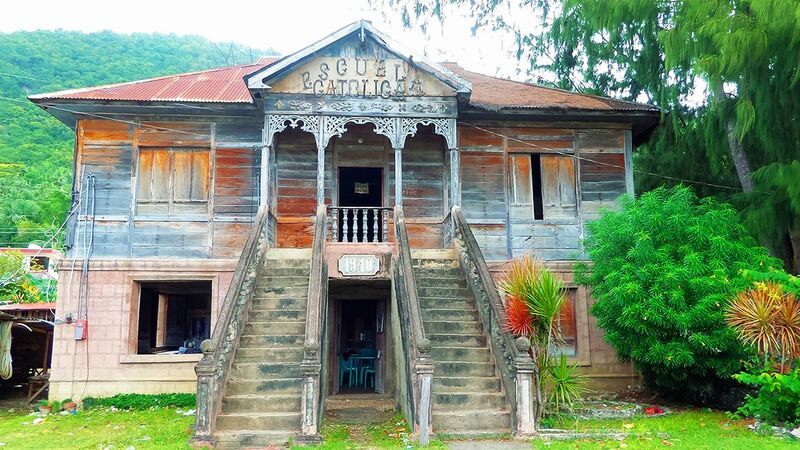 Oslob Museum houses some artifacts that depict the lives of early town settlers. Not much in the museum but its a place worth visiting. 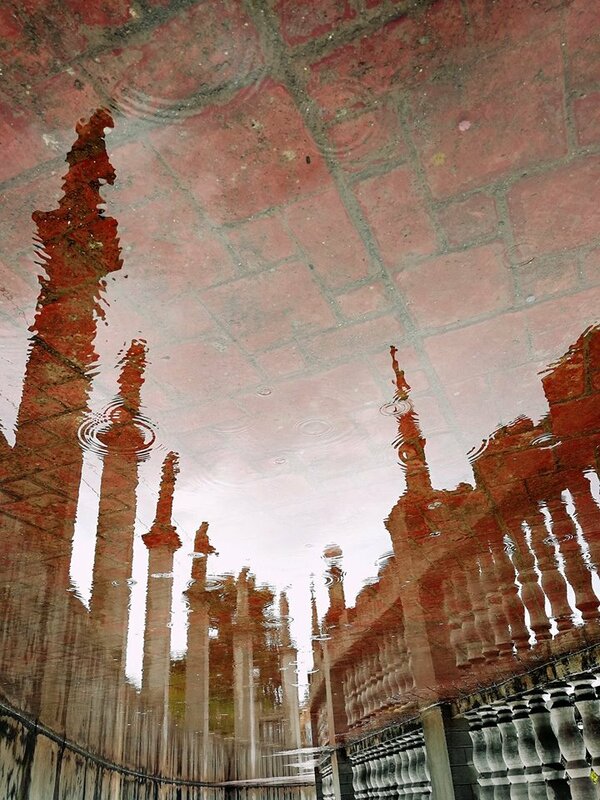 Tips for Travelers and Photographer: If you want to have a different view of the Oslob church, try a different angle. Both right side and left side of the church is a good vantage point. 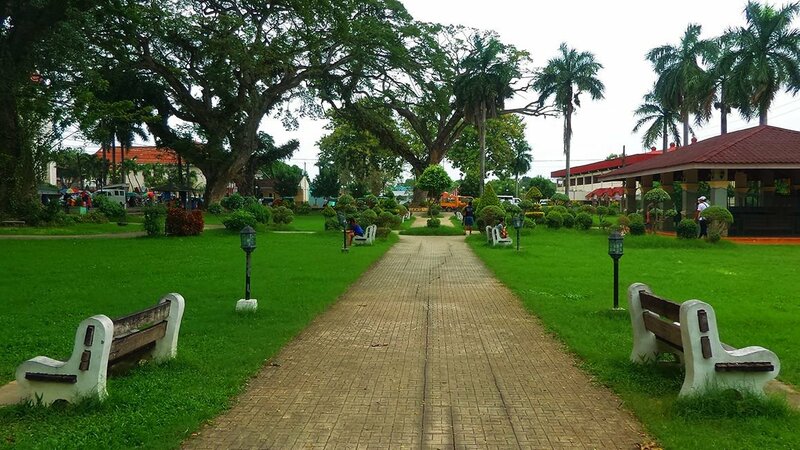 The town’s recreational area is also a good spot to capture the beauty of the Our Lady of the Immaculate Conception church. Since Oslob is the last leg of our trail, our group then settled in the town’s recreational and regrouped. The entire duration of our time travel adventure lasted for 14 hours. The whole idea of our annual SouthWalk activity is not just about sightseeing but also to check what has become of this historical structures. In the span of 4 years doing this activity, the change was really evident and we hope that the people in those towns will be able to keep the commitment of preserving them.